Each user has to memorize their login and password and to enter it every time they want to sign in to Virto Commerce Platform Manager. These issues can be solved by enabling sign-in with Azure Active Directory. This way, Virto Commerce Platform will allow users of given organization to sign in or sign up using their Azure Active Directory account. Azure Active Directory uses the single sign-on flow. So, if the user already uses some Microsoft's services (Office 365, Outlook.com, etc. ), they won't need to enter their password to sign in to Virto Commerce Platform Manager. To implement single sign-on, Virto Commerce Platform uses the OpenID Connect protocol implemented by the Microsoft.Owin.Security.OpenIdConnect library. Your organization has a valid Azure Active Directory tenant. If it doesn't, follow the quickstart quide to create one. 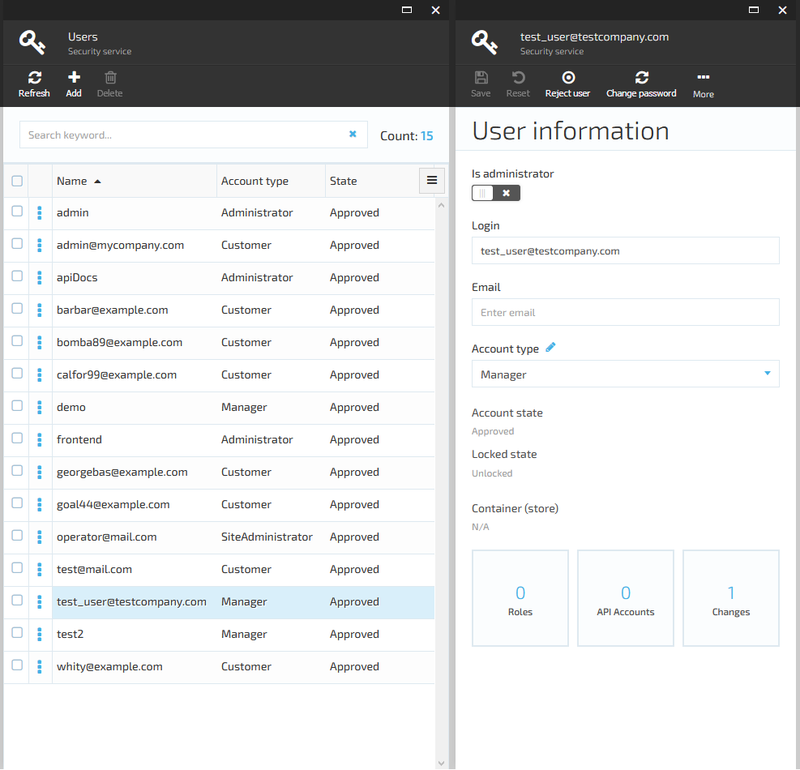 If you want to manage roles and privileges for users signed up using Azure Active Directory, make sure you have an administrator access to Virto Commerce Platform Manager. Try it and test if it works well. 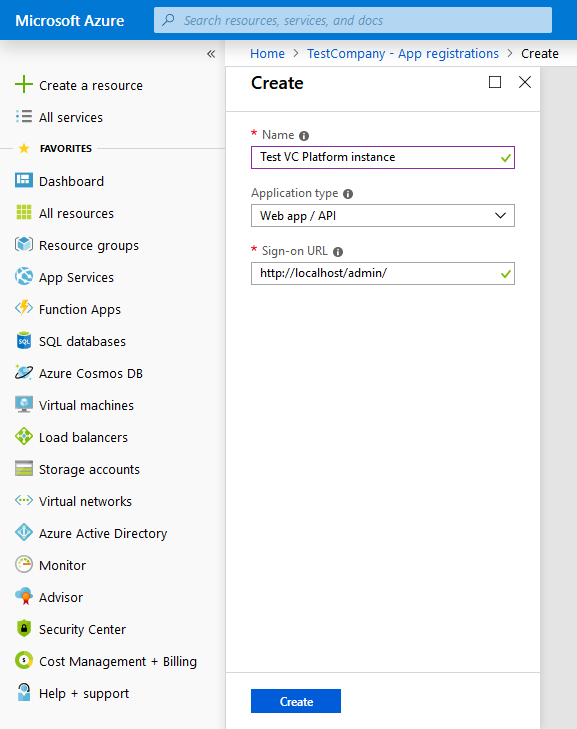 Sign in to the Azure Portal using your Azure account. Select Azure Active Directory. 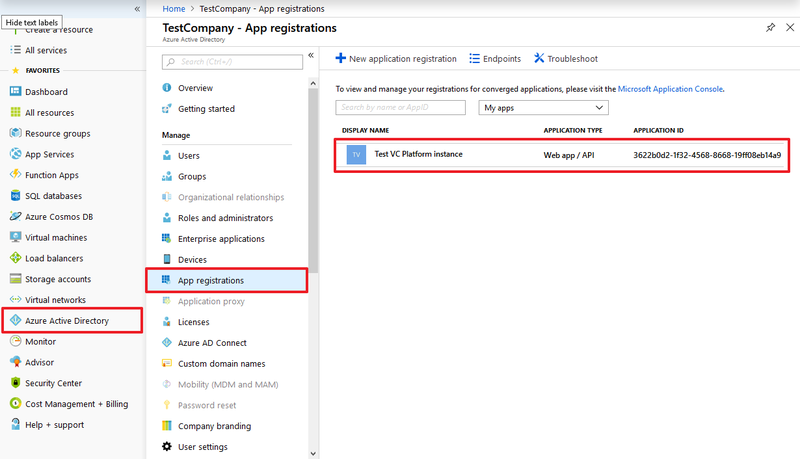 You will see the blade with the overview of your organization's Azure AD tenant. 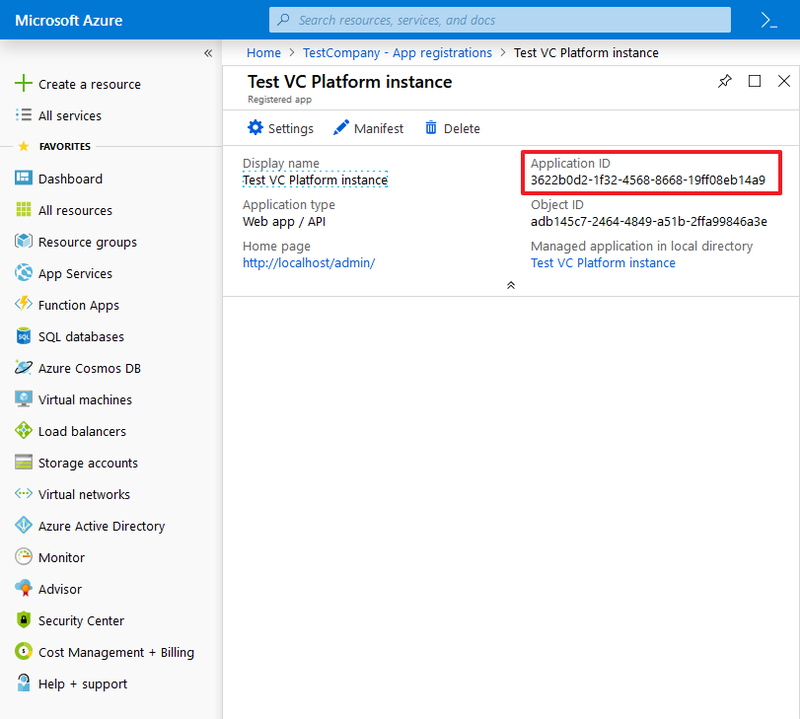 On the Azure Active Directory tenant overview blade, go to Properties. 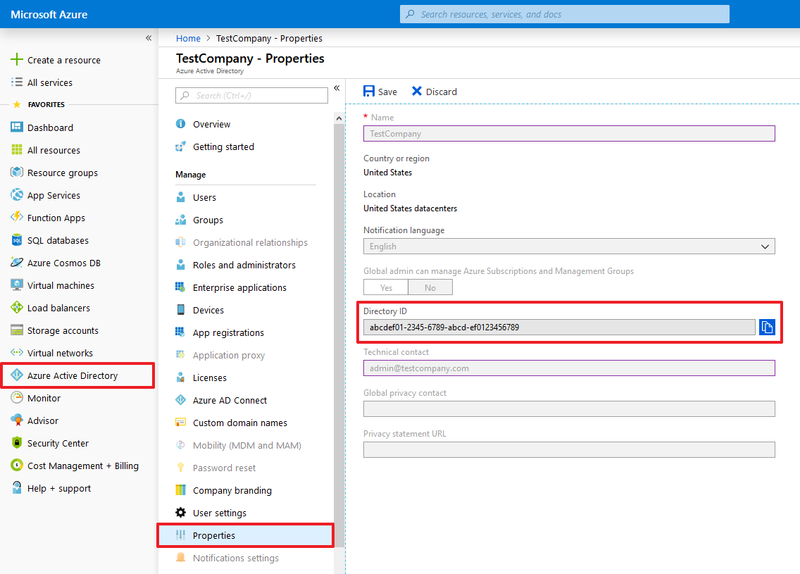 You will see the properties of your Azure Active Directory domain: Please note the Directory ID field - you will need its value for Virto Commerce Platform configuration. On the App registrations blade, click the New application registration button. Name: application name for your Virto Commerce Platform instance. 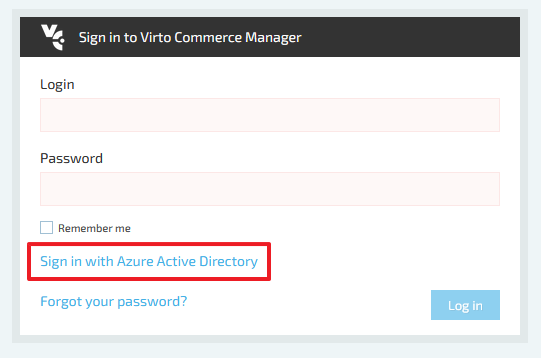 Note that Virto Commerce Platform users will see that name on the Azure Active Directory sign-in page. Application type: type of your application. You should set it to Web app / API. Sign-on URL: URL of the main page of your Virto Commerce Platform Manager. Please make sure to include the trailing / character. Once you've filled these fields and created your application, you'll see the blade with your app registrations. Click the application you've just created. This will open the blade with details of your application: Please note the Application ID field - you will need its value on the next step. Open the Web.config file for your Virto Commerce Platform instance. 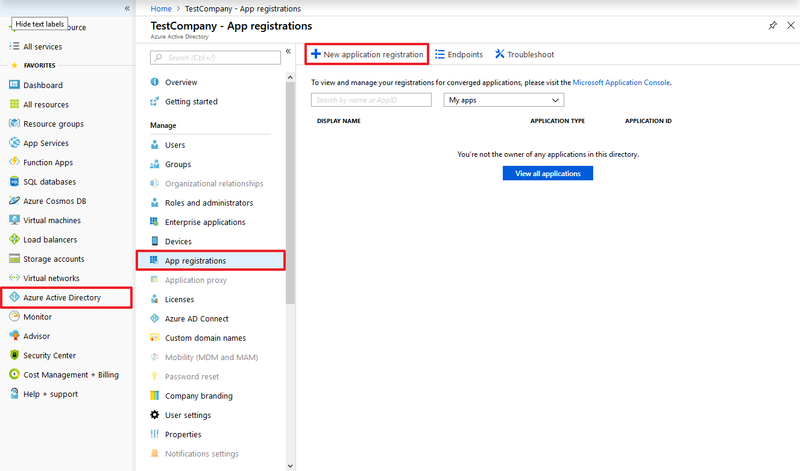 Paste the value of Application ID from your Azure Active Directory application registration to the value of the VirtoCommerce:Authentication:AzureAD.ApplicationId parameter. 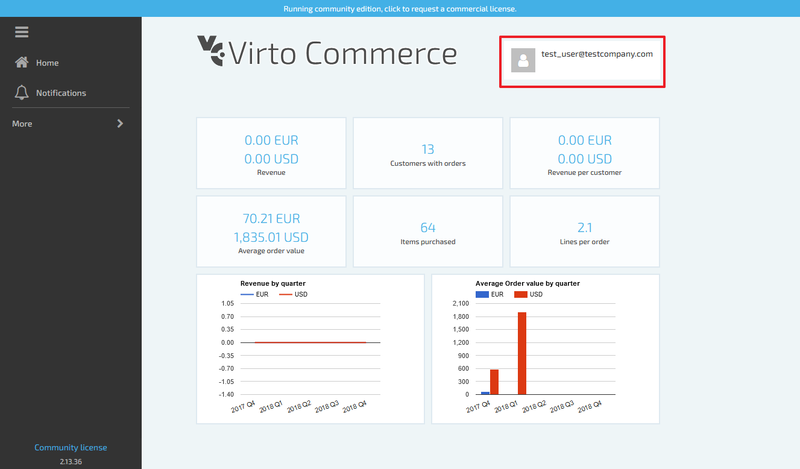 Restart your Virto Commerce Platform instance, so it could read and apply modified settings. Navigate to the login page of your Virto Commerce Platform Manager. Note the Sign in with Azure Active Directory link. If the configuration is right, it should appear under the Remember me checkbox. Try clicking that link. You will be redirected to the Microsoft sign-in page. 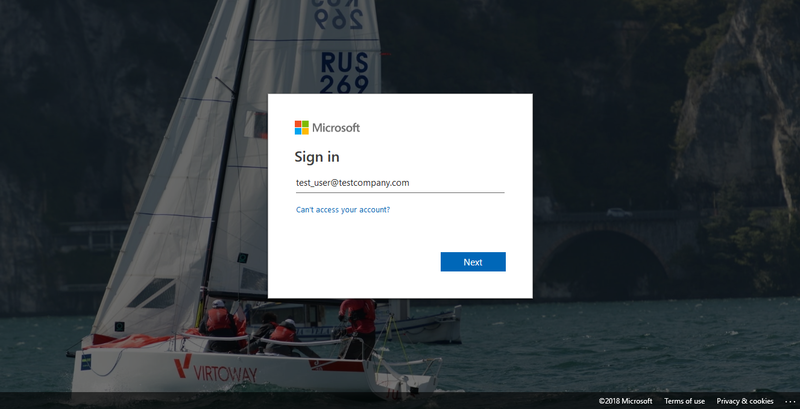 You might be asked to sign in with your Microsoft account if you did not sign in with it earlier. Provide the credentials of your Azure account. Make sure that this account belongs to the same domain where you registered the application. When signing in for the first time, you'll also be asked to grant your application a permission to sign you in and read your account information. Just accept it. If everything went well, you will be redirected back to the Virto Commerce Platform Manager. Please note that the account created by signing in using Azure Active Directory is just a regular Virto Commerce Platform account. By default, it has no roles and almost no permissions. You will have to ask your Virto Commerce Platform Manager administrator to adjust permissions and roles for this account. As said before, if the user signs in with Azure Active Directory for the first time, Virto Commerce Platform will create a new account for this user. But what will happen if the Virto Commerce Platform account with the same login already exists? VC Platform forces Microsoft.Owin.Security.OpenIdConnect to check user's identity. 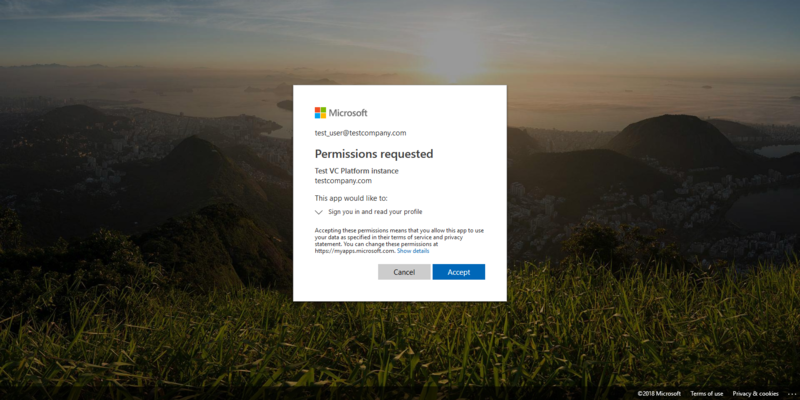 This action starts a typical OpenID Connect flow and causes redirection to the Azure Active Directory sign-in page and back to the Virto Commerce Platform. When this flow is over, Virto Commerce Platform receives an Azure Active Directory account information for the current user and extracts upn claim value from that information. The account already exists and is linked with Azure Active Directory account of signed-in user. In this case, no further actions will be performed - Virto Commerce Platform will just authenticate that user using the existing account. The account already exists, but is missing the Azure Active Directory external sign-in information. In this case Virto Commerce Platform will modify that account to add external login information for the Azure Active Directory account. All other account information (including roles, permissions and personal information) will remain untouched. Finally, if such account does not exist yet, VC Platform will create it and link it with Azure Active Directory account.